This pink pig lady wears a red bow on her head. 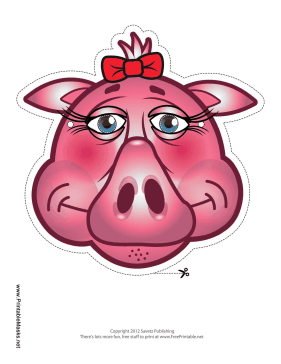 Her distinctive snout and long eyelashes make this the perfect mask to wear for a performance of the Three Little Pigs! This mask is free to download and print.